Lokaldesign was comissioned to remodel an apartment in the Hannamdong UN Village. The client required a simple, uncluttered space with bold colour accents, ideal for entertaining. 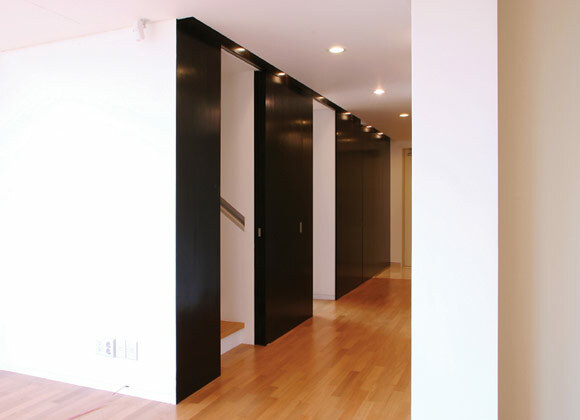 By integrating a number of sliding doors and screens, lokaldesign created a series of generous open spaces. The areas are linked and can be modified through folding panels, which hide utility spaces, the kitchen, stairways and lots of storage. Strong colours harmonise with and accentuate the minimal furniture.